The Seven on Site: Contemporary Landscape Paintings exhibit features landscape paintings that utilize space, light and color, to portray the nature, and beauty of natural landscape. 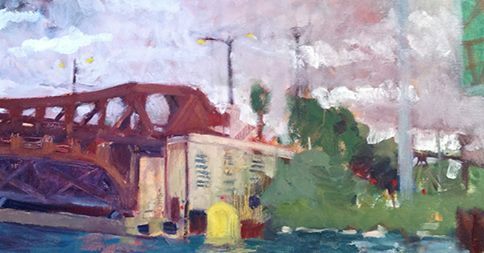 The seven American artists work in conjunction to expand the concept en plein air, a French term for “in the open air” to present a range of contemporary approaches. Site-specific art painted in the open air has the ability to greatly empower viewer communities. In a time where life is constantly “on the go,” it becomes difficult to take a moment and enjoy the little things that make our world so beautiful. These artists have mastered the art of placing value on a slow and timeless way of seeing, each one interpreting the world she sees distinctly. On Thursday, March 26, the public is invited to hear these artists discuss their beautiful works of art at the Seven on Site Panel Discussion at 4:00 p.m. in the Atrium. This is a wonderful opportunity to meet the accomplished artists and get to know their inspiring backgrounds. It truly is a must-see exhibit to witness each artist’s unique views of life. The seven artists make an ideal grouping, similar in inspiration yet different in style. Jane Culp: She is a frequent visitor to national parks, especially the Grand Canyon and Yosemite. Her pictures are beautiful masterpieces that retain the vastness, monumentality, and naturalism of her subject. Through rough brushstrokes and thinly applied paint, Jane focuses her artwork onto the terrain of rocks and mountains. Judy Koon: Judy first studied traditional Chinese painting in Taiwan until she found her love for studio and contemporary landscape painting. She has shared her artistic ability in universities all over the word from The School of the Art Institute of Chicago to The International School of Drawing, Painting and Sculptures in Umbria, Italy. Ro Lohin: Ro is originally from Long Island, but received her BFA from the University of South Carolina. 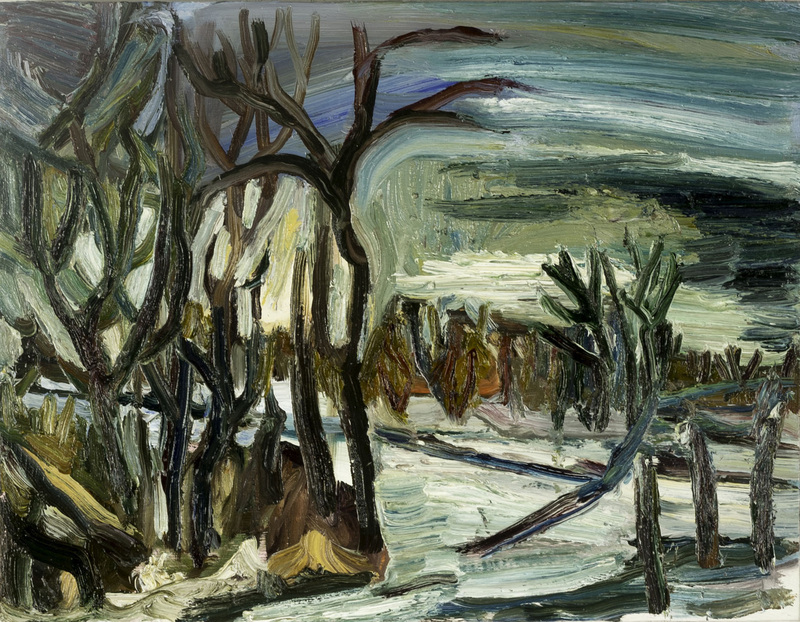 Her paintings portray semi-abstract landscapes that are transformative and yet dense. Her vast array of expressive brushstrokes convey landscapes that are deeply felt moments of perception becoming transformative. Lynette Lombard: Lynette works in the Midwest and in Southern Spain. Her artwork is represented in countless exhibitions throughout the United States. She captions her paintings as “an experience of place, the visual, visceral and physical relationships that are felt, ultimately becoming rhythms of light.” At times, Lynette is known to work from memory as a way of distilling her experiences. Megan Williamson: Megan received her BA from Knox College in 1982, since then she has participated in solo and group exhibitions all over the United States, as well as many teaching and visiting artist gigs. Her artworks contain solid abstract structures derived from an understanding of Cubist principles of construction.